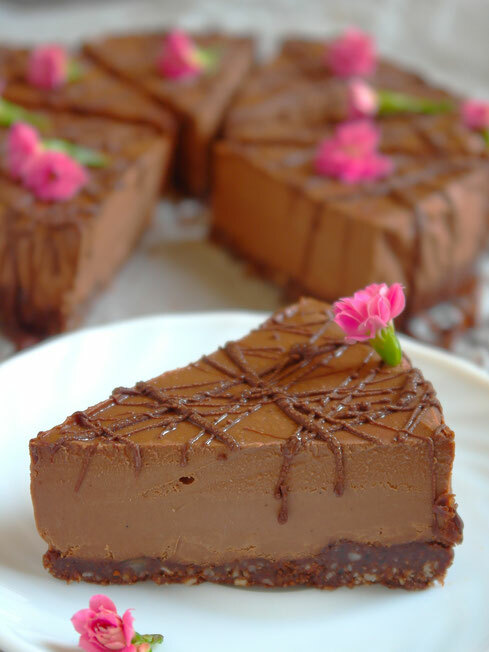 No-Bake Cakes - simply & healthy vegan recipes that taste amazing! The berry season is here! And I am celebrating with a crazy easy and delicious berry cheesecake! Who doesnt love berries! 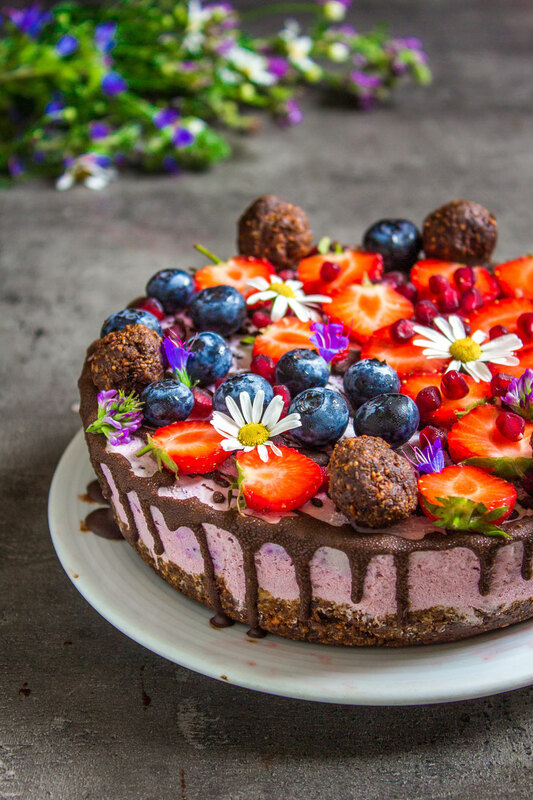 This berry cheesecake is made with strawberries and blueberries. I think berries goes very well with chocolate, so I made a special chocolate base for this delicious smooth cake. Bounty bars with strawberries - only 4 ingredients! Easy Bounty bars to make at home- with only 4 ingredients! If you always loved bounties (I did! 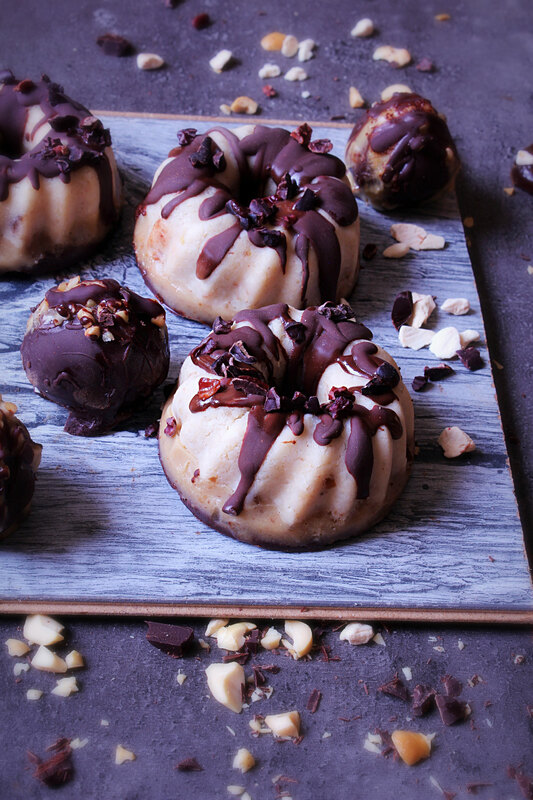 ), and miss eating them since turning vegan, this is the best recipe for you to try out this! Super easy and all you need is a blender or food processor, and a fridge or a freezer. It is made out of only 4 ingredients and has a sweet taste of summer! I had the idea of making those strawberry-bounty bars and just threw together some delicious ingredients and wolaa, the best kind of bounties were born! 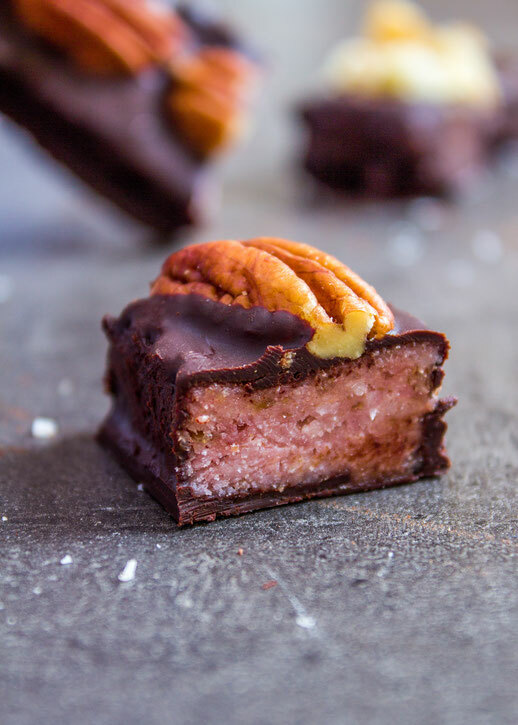 I was craving for something sweet yet simple to make, and because I had some chocolate, coconut, dates and frozen strawberries at home, I thought why not try to combine them in a healthy treat? This was the best idea ever! Dreamy Chocolate Cupcakes, a must if you are crazy for chocolate like me! 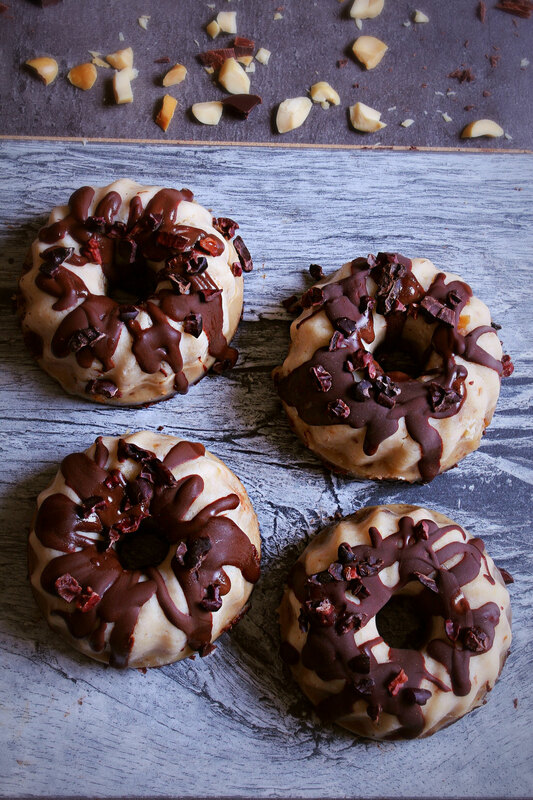 Those sweet vegan treats makes every chocolate lover happy, and they can be enjoyed without any feeling of guilt. Because these cupcakes are absolutely divine and healthy. 100% gluten free and Vegan. And of course they are without any refined sugar, which is great if you try to avoid white sugar and processed food. 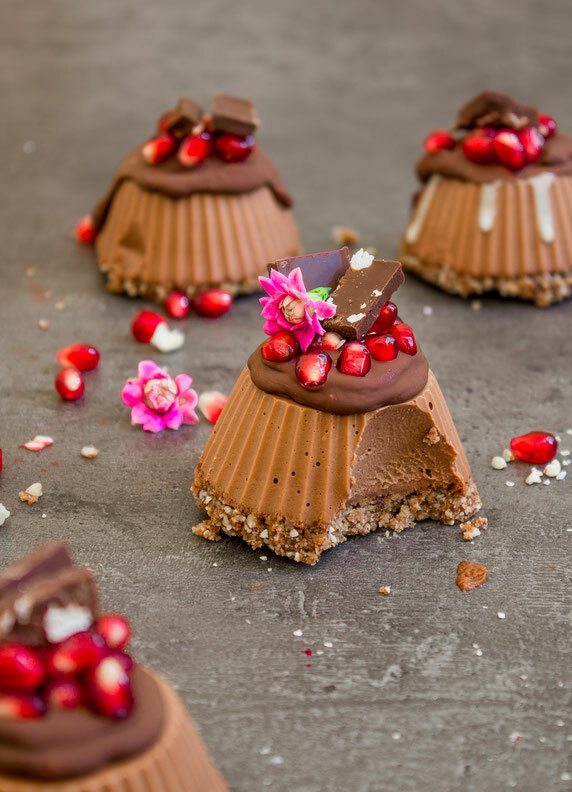 This recipe is perfect for any chocolate lover, for a special evening treat, tea snack or party highlight! You decide how and when to serve and devour them! I personally prefer to enjoy one when my little one is asleep and I have some me-time. For this cake you will need only a few ingredients and follow these easy steps to succeed with your (no) baking. I love this cake so much, I couldn´t hold myself away from it, it was gone within 2 days! Please let me know what you think about the recipe when you have tried it, I love to get feedback to improve my recipes. Recipe in english and in german!